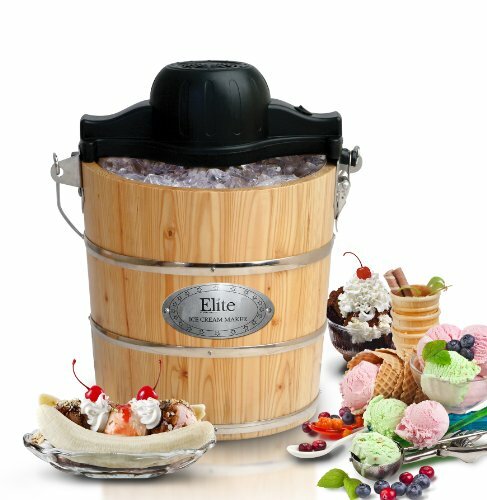 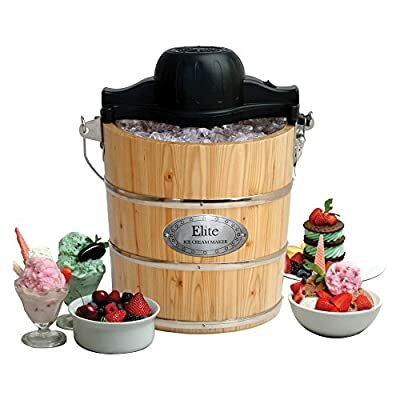 Enjoy smooth, creamy ice cream with elite's large 4-quart old fashioned ice cream maker. 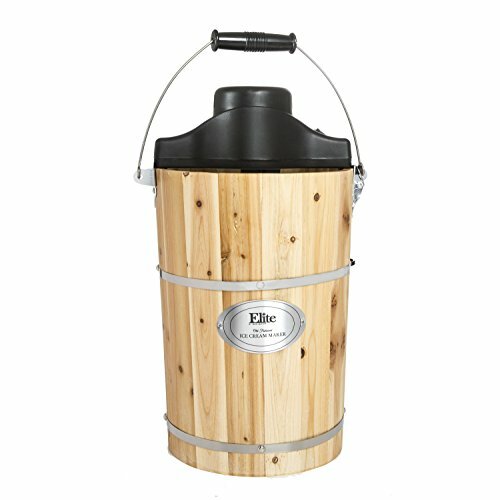 Features include a maple finish pine tub with strong galvanized hoops, high torque motor 3500rpm with over-heating protection system, and 2 function design allows easy conversion from electric to manual hand crank. 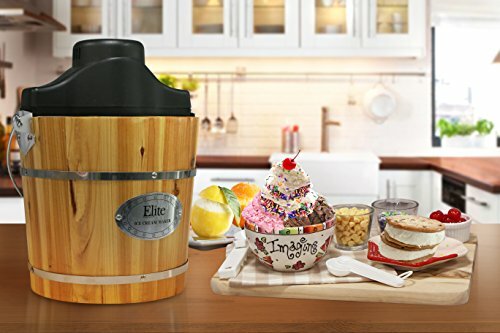 Churn great tasting ice cream for the whole family in 45 minutes. 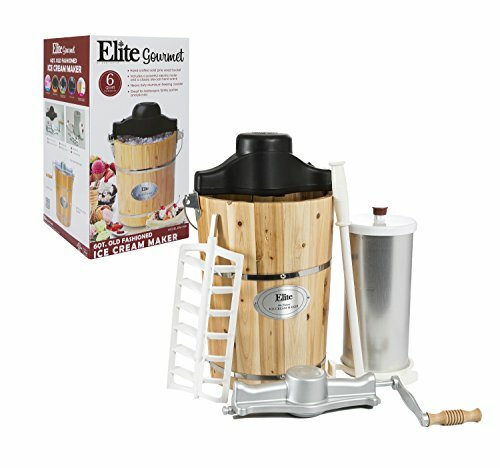 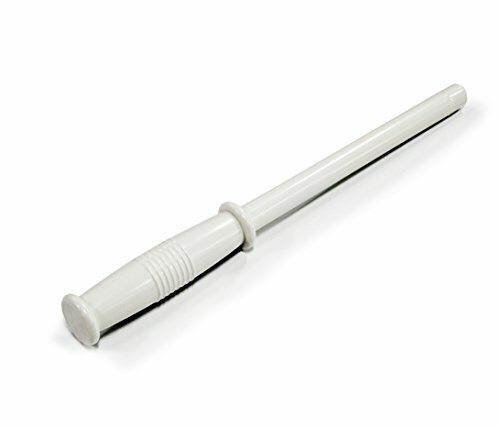 Two function design easily converts to electric model or hand crank model.